History | ShinMaywa Industries, Ltd. 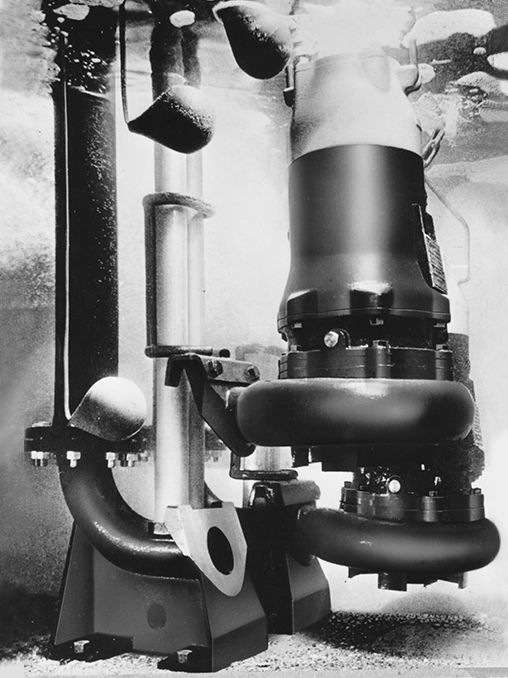 If we factor in our founding years, we can say that the company has been in existence for a total of more than ninety years. 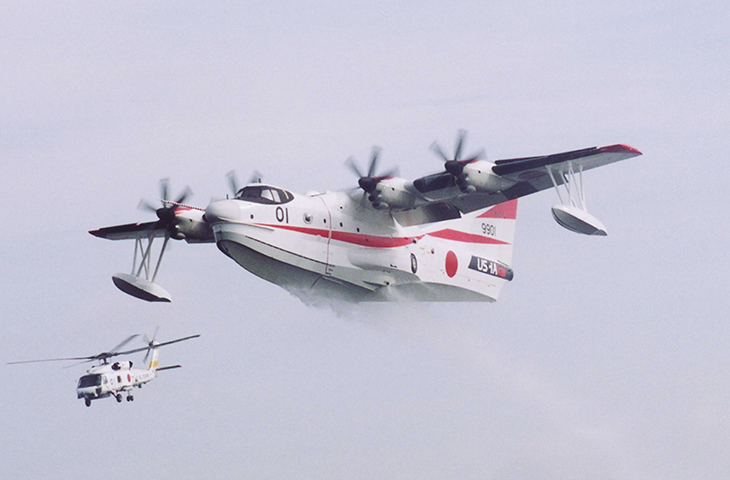 In fact, ShinMaywa originated from Japan's first aircraft manufacturer. 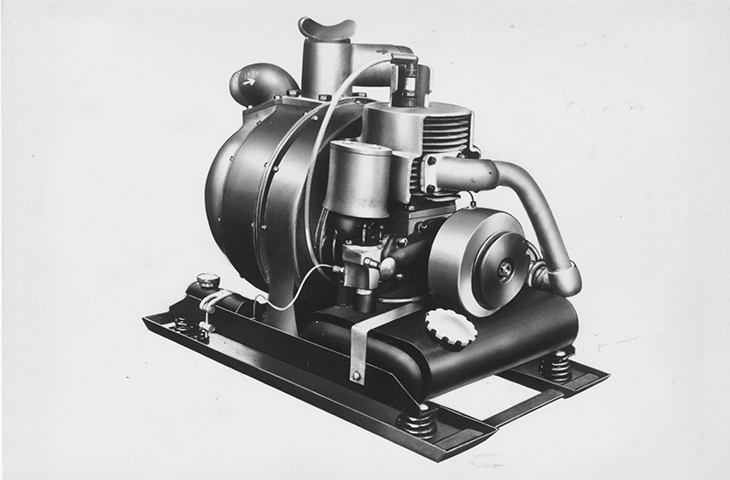 However, the turning point in our business came when we were banned from manufacturing aircraft after the war. Cherishing the sincere hope that "someday we will make aircraft again," we began to diversify our business for the sake of survival. With our "engineering sprit" brought into full play in businesses other than aircraft manufacturing, ShinMaywa has grown in parallel with various developments in the society, developing products that would eventually lay the foundation for our current mainstay businesses. 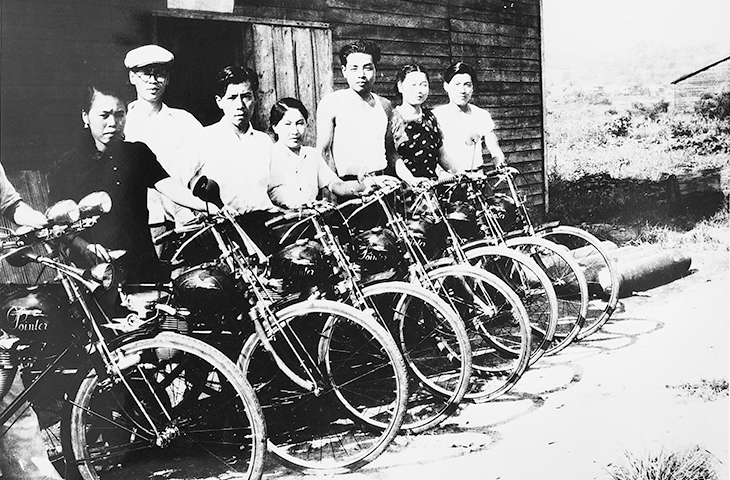 This company was dissolved soon after, but Seibe later founded Kawanishi Machinery Company, appointing his second son Ryozo as its top manager. 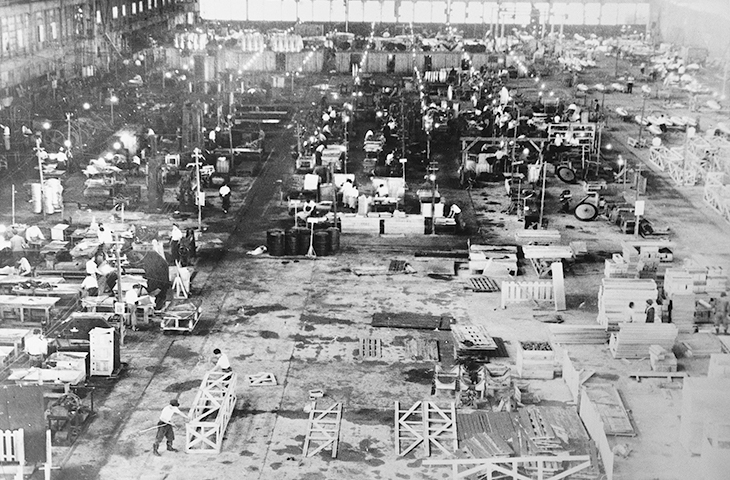 In response to young engineers' ardent zeal for "another chance to manufacture aircraft," Kawanishi established an Aircraft Department within the company a few years later, setting about the independent design and manufacture of aircraft. 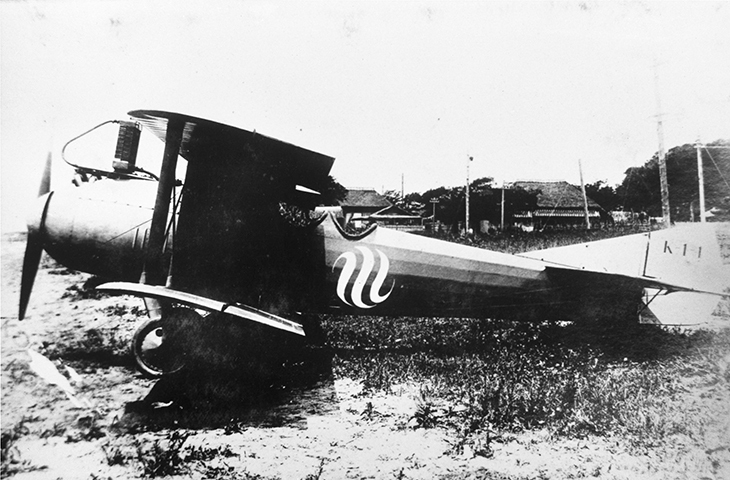 Kawanishi then established a commercial aviation company, the third of its kind in Japan, rendering service to the private air transportation business of the country for the six years until he transferred airline routes to Japan Air Transport Co., Ltd. in line with national policy. Kawanishi Machinery Company has expressed their participation in the Pacific Ocean crossing flight plan. The following year, "Kawanishi Type-12Sakura" was completed as the Japan's first long-distance aircraft. However the flight plan was called off and the project was never realized. 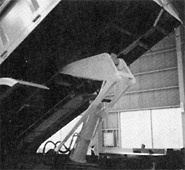 Being fascinated by the aircraft business, Ryozo established Kawanishi Aircraft Company by takin over the Aircraft Department business of Kawanishi Machinery Company. His new company produced a series of aircraft that have become legendary in aviation history. 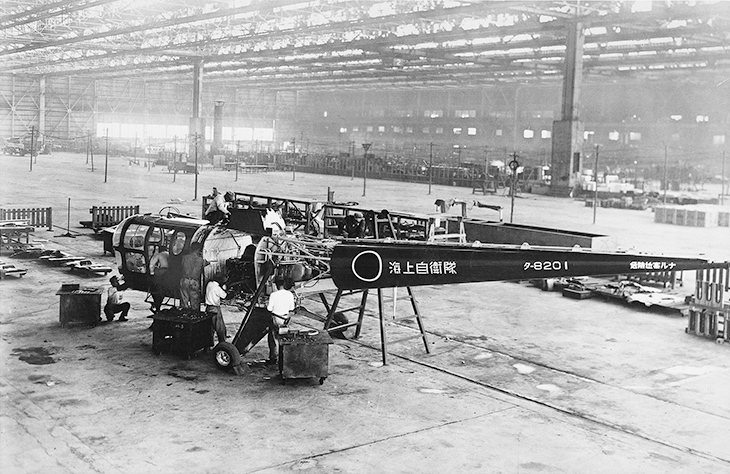 Despite the total ban on aircraft manufacturing, Kawanishi did not give up hope. In February of the following year, he launched a new organization in order to clarify the objectives of his converted business. Tapping into the technology and skills acquired from aircraft manufacturing, the company began manufacturing daily commodities, etc. in the hopes of alleviating the shortage of goods and foods. Shin Meiwa Industry Company Limited (later renamed as ShinMaywa Industries, Ltd.) was established. Based on President Ryozo Kawanishi's guiding mottos (strenuous devotion, harmonious cooperation, service to the country through technology), the new company started up a series of successful new businesses with a focus on "wa (harmony)." Fuel tank production began for the U.S. Far East Air Force Procurement Department. 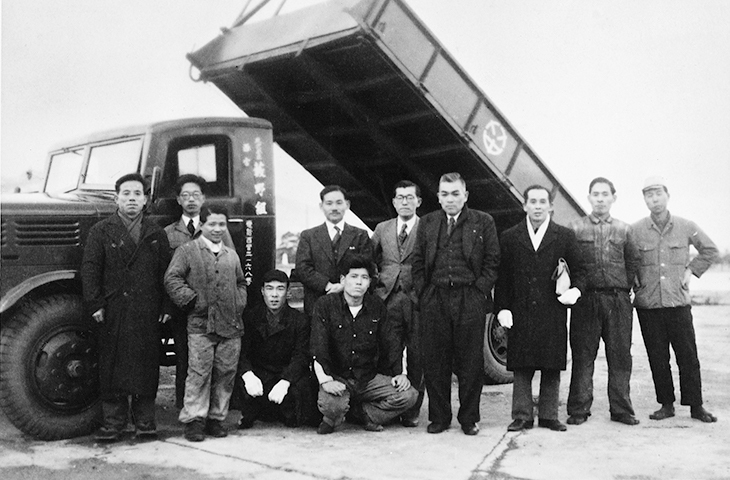 As the scope of its business expanded to include the development of social infrastructures, ShinMaywa established three key businesses of special purpose trucks, industrial machinery, and aircraft during the years of rapid economic growth. 1st Self-priming Pump model equipped with a Pointer motorbike engine completed. President Ryozo Kawanishi passed away. 1st Automatic Wire Stripping Machine completed. Became a member of the Hitachi Group in order to build a solid business foundation with an eye on full-fledged entry into the aircraft business. Toshio Itoh became the 2nd president. True to his words, "Management is courage," Itoh decided in September of the following year to divest the motorbike business, which enjoyed a high market penetration but remained unprofitable. Meanwhile, he established a new factory and expanded a sales office network, exploring new opportunities for future developments. Listed in the Second Section of the Tokyo Stock Exchange and the Osaka Securities Exchange. Promoted to the First Section five years later. 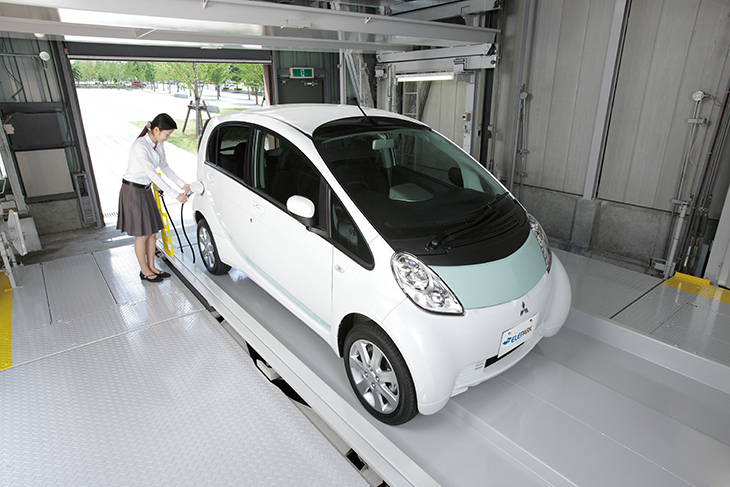 1st Rotary & Vertical type Car Parking System developed. Technical alliance with a Swedish partner for the manufacture of electric submersible pumps; Production started. Speed Pack (refuse collector) production started. 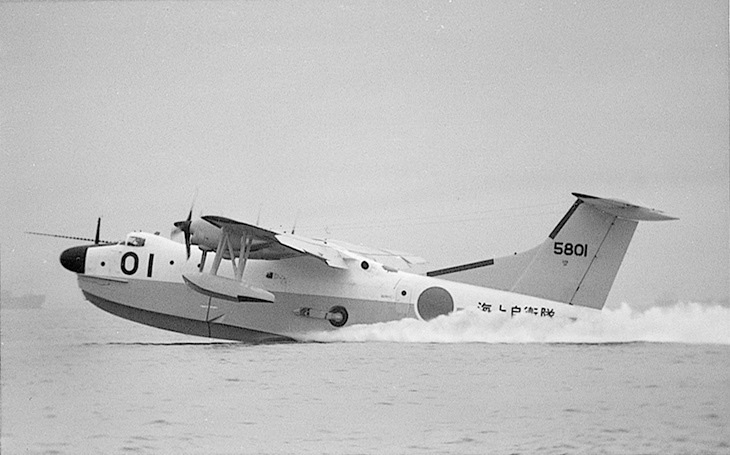 Defense Agency (now Ministry of Defense) placed an official order for the first PX-S flying boat prototype. 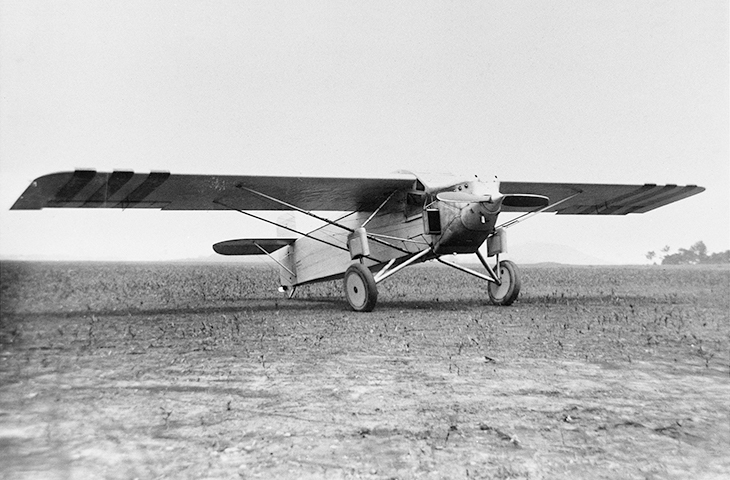 The prototype made its first flight in the following year. 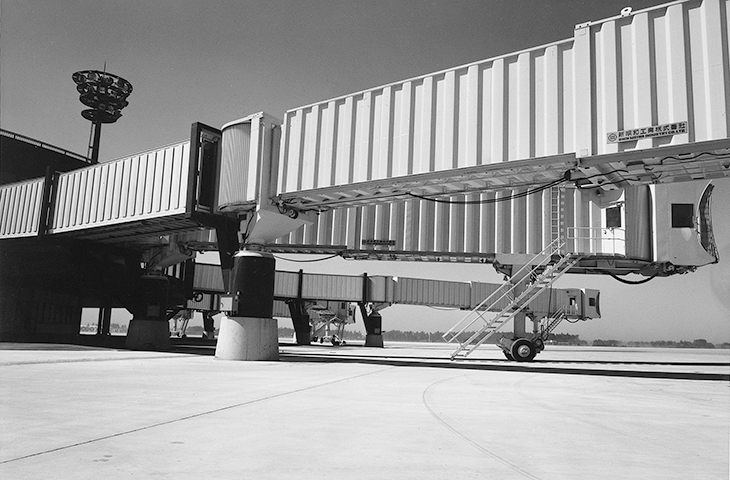 Technical alliance with an American partner for the manufacture of "Jetway" passenger boarding bridges. 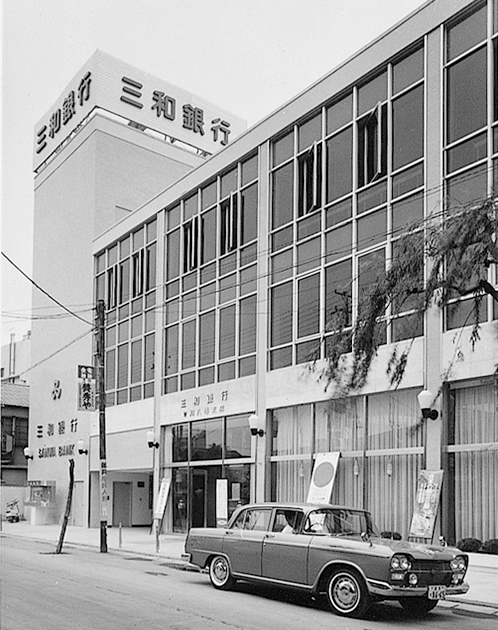 In order to quickly respond to customer demands while fulfilling an increasing number of orders, in 1971 ShinMaywa Engineering, Ltd., a specialist after-sales service provider of car parking systems, was established. 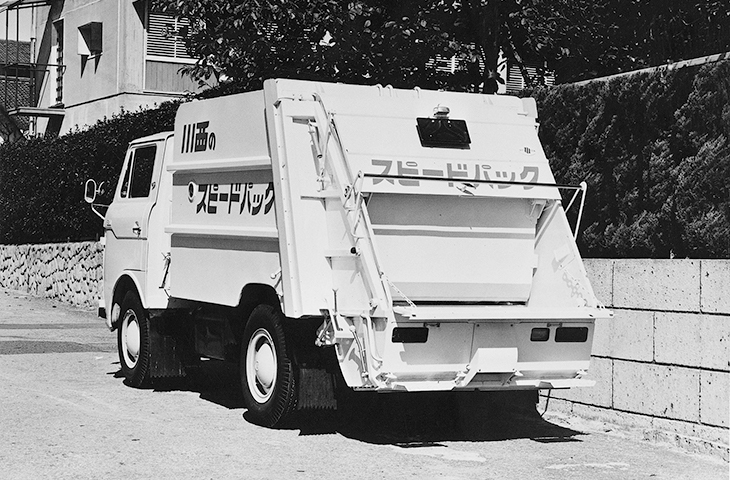 In the following year, its after-sales service division for special purpose trucks was made independent to establish a new subsidiary (now ShinMaywa Auto Engineering, Ltd.). Technical alliance with a French partner for the manufacture of dumping devices (Tentsuki Dump). Yoshio Yagi became the 3rd president. Amid difficult conditions in the aftermath of the oil shocks, we sought opportunities in overseas markets by shifting into high gear exports of special purpose trucks and aircraft passenger boarding bridges. 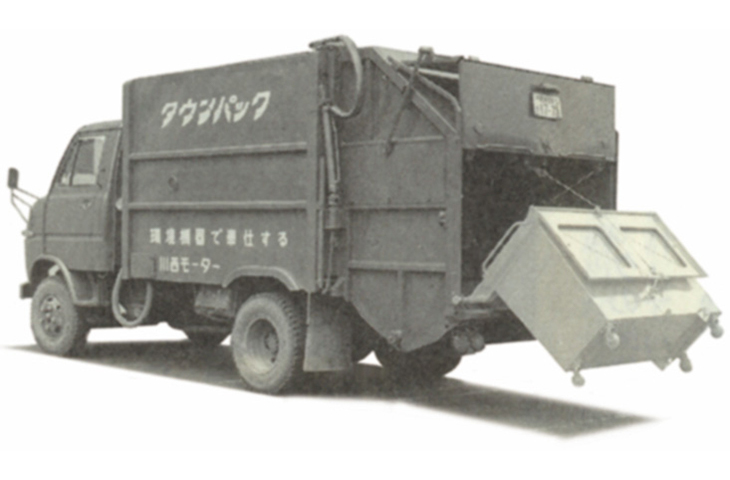 TOWN PACK (collector for large size refuse) developed. 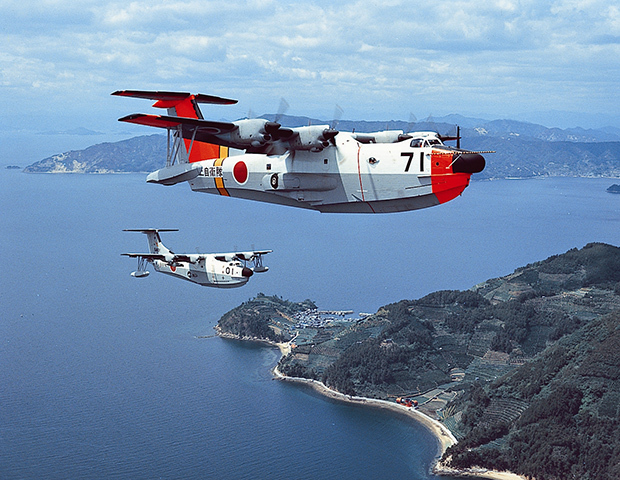 First flight of the prototype of PS-1 Kai (renamed to US-1), the first Japanese amphibian, succeeded. Shinji Tamagawa became the 1st president with an engineering background. In January 1983, he set forth the Corporate Philosophy that begins with the phrase "As a Technology-oriented Company" and incorporated "energy saving," "laborsaving," and "systemization" into the products, in an effort to meet social requirements for higher value added. A joint venture was established in Thailand (our very first overseas operation), followed by sales offices in the U.S.A. and Singapore. 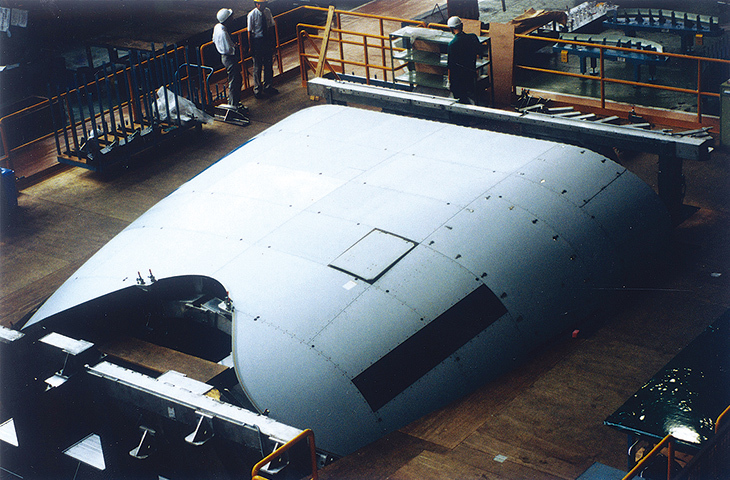 Production of B777 "Wing-to Body Fairing" started. Shiko Saikawa became the 5th president. In October of the same year, the Environmental Systems Division was established. With this move, the ShinMaywa Group set its corporate goal of aiming to grow as a "life environment-creating company," thus driving business management and product development with environmental considerations and social contributions in mind. 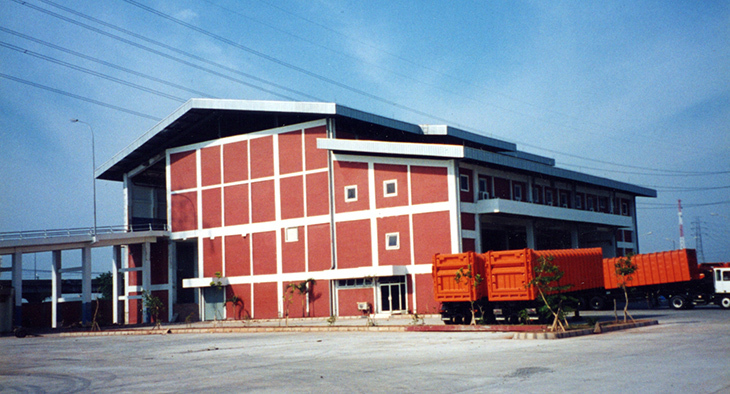 Refuse Transfer Station Systems completed in Jakarta, Indonesia. Jushi Ide became the 6th president. He made further improvements to leading products in each market. 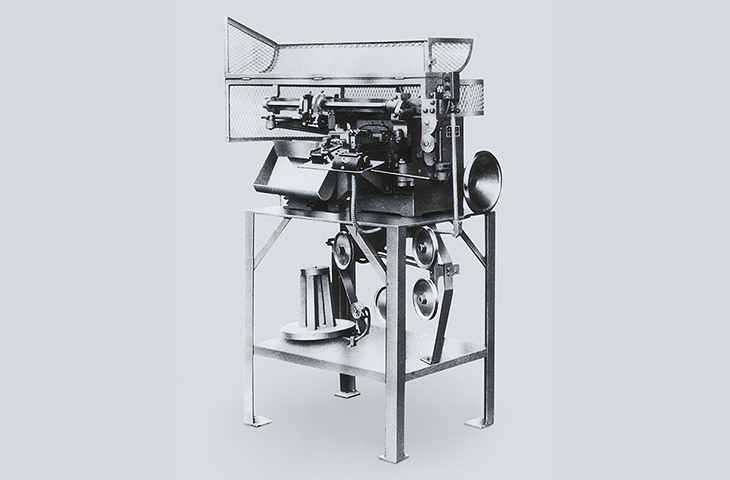 In order to enhance sales and after-sale services of industrial machinery overseas, operational bases were established in Shanghai (China) and Bangkok (Thailand). First flight of the prototype of US-1A Kai (renamed to US-2) succeeded. Became independent from the Hitachi Group. 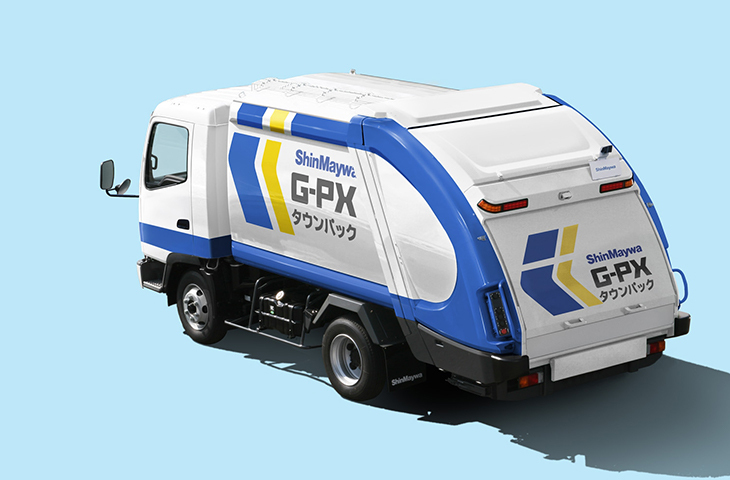 First model of new Crushing and Compacting type Refuse Collectors, developed with Fuji Heavy Industries Ltd., "TOWN PACK" G-PX series lauched. Tadashi Kaneki became the 7th president. 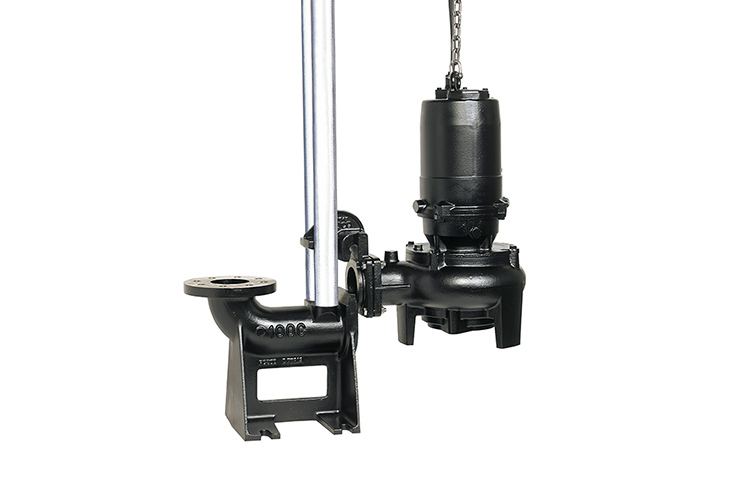 The Submersible Pump "CNW Series" received the Japan Machinery Federation President's Award for its superior energy-saving performance. EV(Electric Vehicle) charging system for "Elepark" Elevator Car Parking System launched. The Brand Statement"Brighten Your Future"established. Yoshihiro Onishi became the 8th president. The"CSR Management Policy"and the"ShinMaywa Group Code of Conduct"established.